This bathroom tap with medium-height spout leaves plenty of space beneath for trouble-free hand-washing. GROHE SilkMove ES technology means that at mid-lever position only cold water comes out, so you cut back on energy use. 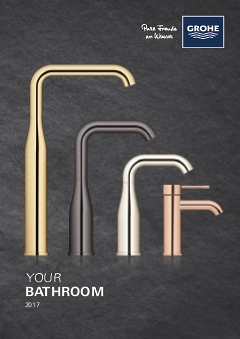 GROHE EcoJoy water-conservation cuts your water use by up to 50%. Not having a built-in waste mechanism, this GROHE Eurosmart tap's body is free of both chain and pop-up rod. Presented in GROHE StarLight chrome, it has a dazzling lustre that makes it effortless to maintain and shows its sleek, unfussy lines to good effect. Our easy installation system means you'll have it fitted in no time.